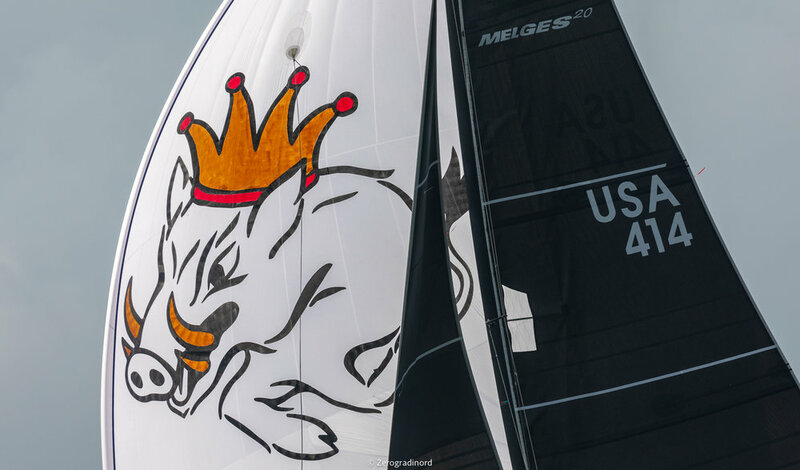 MIAMI (April 4, 2019) — Melges 20 sailors are dancing tonight after a lively first day at the 2019 Melges 20 World Championship. Daniel Thielman’s KUAI (USA) and Cesar Gomes Neto’s PORTOBELLO (BRA) each won a race today. After last night’s dancing and celebrations, sailors were greeted in this morning with fog and rain. After a period of postponement, the first race began at 1530. With cloud cover persisting throughout the day, there was a breeze of 9-14 knots and waves on Biscayne Bay. 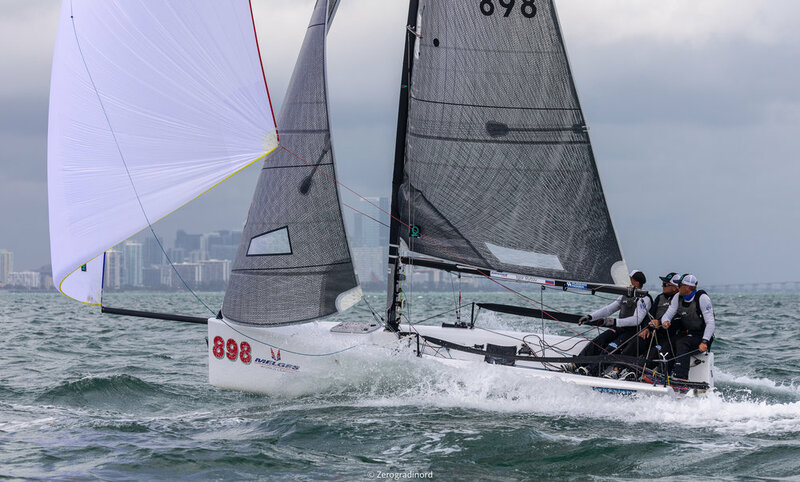 Melges 20 Worlds is hosted by the Coconut Grove Sailing Club with support from Shake-A-Leg and Melges Performance Sailboats. With ten races scheduled, it’s still anyone’s game. But Daniel Thielman’s KUAI along with Rayleen Thielman, Jeremy Wilmot and Alec Anderson had a strong start, earning second place in the first race and winning the second race. Following Thielman after the first day are Igor Rytov, Robert Hughes, Cesar Gomes Neto, and Robert Wilber. Rhonda Joyce, an absolute staple and great supporter of the Melges 20 Class, leads in the Corinthian Division; she sponsored the Opening Ceremony along with Rob Wilber to kick off with a great celebration and live music. Racing continues the next three days.